"They say you represent a great many people in this town…" STX has debuted the first trailer for a drama titled The Best of Enemies, marking the feature directorial debut of producer Robin Bissell. Not to be confused with the excellent documentary also titled The Best of Enemies about Gore vs Vidal, this film is about two other different friends from America's history. 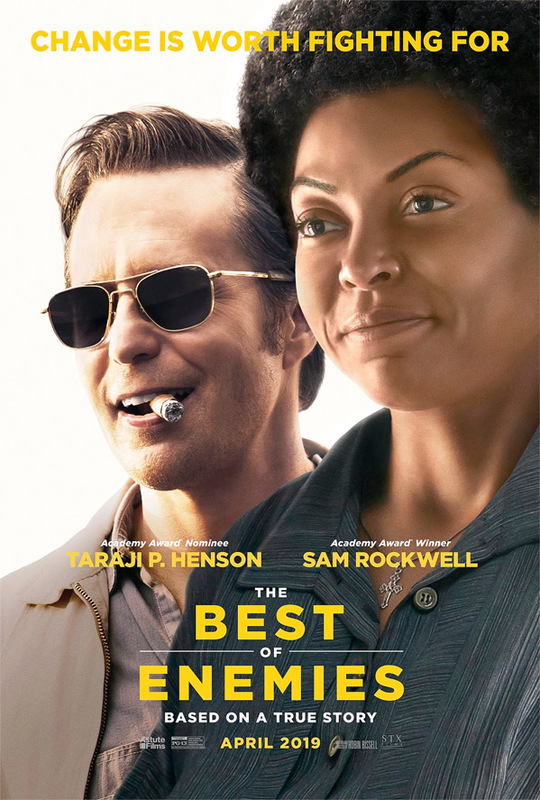 The film tells the story of a rivalry, and friendship, between the local Ku Klux Klan leader in Durham, North Carolina played by Sam Rockwell, and a civil rights activist named Ann Atwater, played by Taraji P. Henson. The full cast includes Wes Bentley, Anne Heche, Sope Aluko, John Gallagher Jr., Nick Searcy, and Caitlin Mehner. This looks much better than expected, some fire & passion in these folks and I'm looking forward to seeing how it plays out. Based on a true story, The Best of Enemies centers on the unlikely relationship between Ann Atwater, an outspoken civil rights activist, and C.P. Ellis, a local Ku Klux Klan leader who reluctantly co-chaired a community summit, battling over the desegregation of schools in Durham, NC during the racially-charged summer of 1971. The incredible events that unfolded would change Durham and the lives of Atwater and Ellis forever. The Best of Enemies is both written and directed by American filmmaker Robin Bissell, making his feature directorial debut after producing a number of movies recently including The Hunger Games and Free State of Jones. Based on the book of the same name by Osha Gray Davidson. STX Ent. will open Bissell's The Best of Enemies starting on April 5th, 2019 next spring. First impression? Interested?